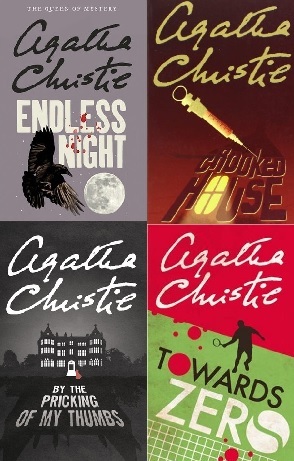 So it’s back to the main series from Paul Doherty, the Hugh Corbett mysteries – Hugh’s retirement doesn’t last long, obviously. After being rather disappointed with Ghostly Murders, I thought I’d remind myself why I got a bit obsessed with Doherty in the first place. So, is this a return to form – well, in terms of the order I read them anyway, but they were written around the same time – or am I starting to regret the large pile of unread Doherty novels on my shelves? I’m very glad to say, it’s a definite return to form. 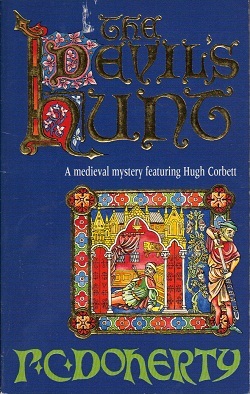 The Hugh Corbett books, since The Prince of Darkness, have been extremely consistent in terms of quality, and it was a pleasure to return to the series. 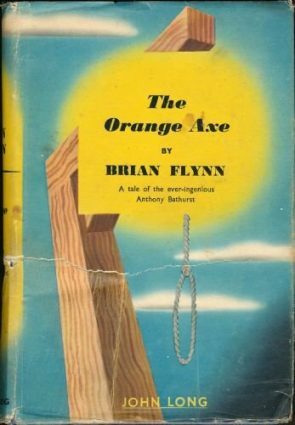 And this is an important book, as each of the leads – Corbett, Ranulf and Maltote – all get something important to do. And it’s nice to get past one event that I knew, from leading a later book, happened at some point, and it’s good to say that I didn’t see it coming when it happened. Ranulf in particular gets some good stuff, simultaneously pushing his dreams for advancement in an unexpected direction and also taking private – and brutal – orders from the King himself. As for the mysteries, they are nicely done indeed, and, for once, there are plenty of clues around, although they are well hidden. I’d discuss the various strands a little further, but it’s not clear until late-ish in the book as to what is connected to what. Being deliberately vague, one aspect is pretty obvious, but then it’s supposed to be, one aspect is fairly guessable and one is a decent surprise. The locked room aspect is pretty simple, but to fair, it’s treated as such and most of it is explained early on. One of the nice things about Corbett is that he doesn’t sit around like Poirot, knowing what’s going on but being smug about it all while people drop dead around him. He genuinely is solving the mystery along with the reader, giving you a real sense on playing along. And then, following the mini-cliff-hanger at the end of the previous book – which I’ve spoiled at the start of the review, but it’s not remotely important, we have another to tease the reader into buying the next in the series, The Demon Archer. Now I have a load of other stuff to read before I come to that… but there’s every chance that this is going to mysteriously appear at the top of my reading pile. Highly recommended – a excellent demonstration of how to marry historical fiction and detective fiction. And a cracking read as well.